A thousand years of history come alive in Dublin, where old and new rub shoulders. Take a stroll through Dublin's famous Georgian Squares dating back to the 17th century and soak up the atmosphere. At night, Dublin comes alive in its many theatres, music venues and cinemas. As many performing artists will tell you, a Dublin audience in full flight really raises the roof. Dublin Bus Tours takes in most of the city centre sights. It is a 'hop-on, hop-off' affair, so you can get off the bus, take a look around and get a later bus to the next stop. A separate South Coast & Gardens Tour brings you through Sandycove and Dalkey to the Powerscourt stately home and estate in the Wicklow Mountains and back. The North Coast & Castle Tour brings you out to the fishing port of Howth and to Malahide Castle. Dublin Castle stands right in the heart of historic Dublin. For more than 1,000 years it has been the symbolic stronghold for those who ruled Ireland, from the Vikings to the English. A sprawling complex of historic buildings as old as 934, it offers a unique crash course in Irish history. Situated in leafy Phoenix Park, Dublin Zoo is one of Ireland's most popular visitor attractions with close to one million visitors a year. Founded in 1830, it is the fourth oldest Zoo in Europe and offers an extensive selection of wild animals in carefully landscaped surroundings. Experience Dublin on the water as well as on the road, travelling in a reconditioned American amphibian personnel carrier from World War II, a Dukw. The Viking Splash Tour takes in the sites of Viking Dublin, the city’s two famous cathedrals (St. Patrick’s and Christchurch), Trinity College, Government Buildings and Georgian Dublin. The water leg of the tour brings you to the recording studio of U2 and explores the newly developed Grand Canal Docklands. Located in the heart of the Guinness brewery, this hi tech visitor centre takes you through the 250 year history of The Dark Stuff. See, hear and smell how Guinness is made and take a complimentary pint in the Gravity Bar, the highest bar in Ireland. On a clear day you can enjoy an unrivalled view over the city and all along Dublin Bay from here! Founded by Queen Elizabeth I, Trinity educated the elite of Anglo-Irish society for centuries. You can practically feel the wealth of its patrons standing in the Old Library or taking a stroll through the grounds. Trinity is literally a town within the town, complete with its own Cricket pitch. The renown Celtic art masterpiece, the illustrated Book of Kells is on display at Trinity. The National Museum has branches all over Dublin. Visit its Kildare Street buildings and prepare to get stunned by the sheer number and amazing beauty of its prehistoric gold ornaments which include the Ardagh Chalice and the famous Tara Brooch with their Celtic designs. Dublinia is an interactive exhibition taking you through Dublin in the Middle Ages. Play games in a medieval fair, walk through a rich merchant's townhouse or throw eggs (well, plastic balls) at an unlucky sod locked up in a stock. Great fun for children. The guided tour of Europe's largest disused prison tells the tragic story behind Ireland's emergence as a modern nation. Built in 1792, Kilmaimham held many famous Irish Nationalists and Republicans from the Society of United Irishmen (1798) to the leaders of the 1916 Easter Rising, who were executed here. The prison was closed in 1924. Housed in the former Royal Hospital Kilmainham, a 17th century home for ex-soldiers, the IMMA stages state of the art exhibitions of international artists and has a collection of Irish contemporary art that is a must see. Don't forget to step outside, check out the amazing Georgian architecture and discover the 17th century maze in the ornamental gardens! This elegant town house on Parnell Square houses an eclectic collection of French Impressionists - including works by Monet, Manet and Degas - and Irish art from the 19th-21st century. The gallery contains Dublin-born painter Francis Bacon's full-size studio, which was brought here piece by piece from London after his death in 1992. Partake in a great Northside tradition and take a stroll through Botanic Gardens on a Sunday afternoon. It is free, and if the weather is with you, there are few places more relaxing. A lovely little spot that is off the beaten tourist track. 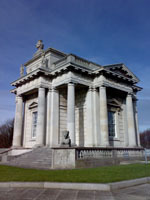 Hidden away in a quiet suburb, this gem of Palladian architecture in Ireland is well worth a visit. The first Earl of Charlemont had the Casino built as a venue for intimate dinner parties, literary circles and the odd game of cards - all very discretely out of sight from his main house further down the hill. He even built a tunnel for his servants to come up from the kitchens of the main house without being seen or spoiling the guests' view over Dublin Bay. Slurp some fresh Irish Oysters, sample Irish charcuterie and farm cheeses or just drift along with the crowds at this ever popular Saturday foodies market in the middle of Temple Bar. The market is held every Saturday from approximately 10:00-16:30 in Meeting House Square. Located next door to Trinity College, Dublin's newest attraction is a cutting edge museum and gallery devoted to modern science. Far from being a haven for technology nerds, the gallery focuses on the possibilities scientific progress opens for the arts and our everyday lives. Many famous novelists, poets and playwrigths were born in Dublin and had their formative experiences here. If there is a literary style that can be closely associated with Dublin, it has to be down to earth, populist with good plots and lashings of satyrical humour.The most famous Dublin writers are probably Jonathan Swift, Bram Stoker, Oscar Wilde, James Joyce and George Bernard Shaw. The Dublin Writers Museum tells you more about the lives these famous authors led and introduces you to some lesser known, but no less interesting writers. Ireland is a nation of playwrights and Dublin is the main stage. Some of the more famous names include Samuel Beckett, George Bernard Shaw, Oscar Wilde, Brendan Behan, Sean O'Casey and W.B. Yeats. The tradition continues, and you won't be disappointed if you try a more contemporary Irish play. Theatre is alive and well in venues like The Abbey, The Peacock, The Gaiety, The Gate, Andrews Lane and The Tivoli. Or head for Bewley's Cafe Theatre on Grafton Street for a lunchtime show complete with a steaming bowl of soup and a roll. From international mega stars to underground bands, everybody wants to play Dublin. If an artist tours Europe, you bet they will stop here. Dublin audiences are famous for raising the roof on any of the city's dozen or so music venues. Catch the action at The Button Factory, Crawdaddy, Vicar Street, Whelans, The Village, The Olympia, The Ambassador or at the brand new O2 Dublin. Catching some Irish traditional music is a more spontaneous affair. Sessions can spring up in the most unlikely pubs at short notice. Reliable venues are O'Donoghue's (Merrion Row), The Cobblestone (King Street, Smithfields), Oliver St John Gogarty (57/58 Fleet Street, Temple Bar) and in Wexford Street (the pub, not the venue around the corner). If you can't spot any musicians, ask at the bar for the next session. Ireland has a thriving filmmaking scene with Irish-produced movies often turning into mainstream success at cinema box offices all over the country. Some Irish film talent has shot to Hollywood fame, like director Neil Jordan and actor Colin Farrell. A good place to learn more about the Irish movie scene is The Irish Film Institute in Temple Bar, whose book shop and two cinemas are open to the public.